Velox GmbH plans to show a range of its speciality composites and additives at JEC World 2018, taking place in Paris, France from 6 to 8 March. 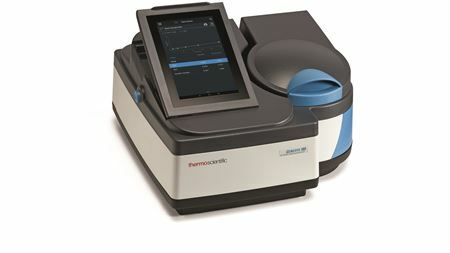 Thermo Scientific has developed a range of spectrophotometer for quality assurance and control. NTPT and the Ecole polytechnique fédérale de Lausanne will implement a research project to improve discontinuous carbon fiber tubes. A Fraunhofer insitute has developed a new testing method for composites which combines mechanical and radiographic examination. Total Composite Solutions (TCS) Ltd and Microtex Composites Srl, a weaving and prepreg manufacturer have signed a long term partnership agreement. Spirit AeroSystem has unveiled plans to grow in fabrication and defense, each of which it says could exceed US$1 billion over the next five years. Spirit AeroSystems’s Advanced Technology Centre has reportedly developed an improved method for manufacturing composite parts. Aliancys has supplied a range of resin system for a firewater system forming part of a new motorway multi-level road tunnel in Maastricht, the Netherlands. The organizers of the Composites in Sport 2018 conference have issued a call for speakers is now open. Solvay says that it has signed an agreement with Boeing to supply composites and adhesives in support of the 777X airplane production. Michelman has become a member of the University of Delaware’s Center for Composite Materials (UD-CCM) Industry Consortium. Hexcel Corporation has reported 2018 revenue guidance for sales in the range of US$2.10 billion to US$2.20 billion. Michelman has launched a new website for the Indian packaging market. Hexcel Corporation has entered into a definitive agreement to acquire the aerospace and defense (A&D) business of Oxford Performance Materials (OPM).